My physical health had been playing up recently and I couldn't work out what was causing it. I assumed that all the recent stress and anxiety from sorting the divorce finances was the root cause, and it would sort itself out once resolved. Other thoughts and feelings kept popping into my head but instead of paying attention to them I ignored them. It wasn't until going to see a therapist friend for a treatment that I realised it was something else. For years I have blamed myself for not being able to have children. I have never forgiven myself for opting to have a hysterectomy, seeing it as a betrayal, even though without it my life was a cycle of pain to the point of not being able to work, let alone function on a daily basis. I have always wanted children. I ache when I think about it, even now at the age of 50, 15 years after the hysterectomy, it still hurts. I feel empty in one sense, unfulfilled, but I have all this love stored up ready to give to my children that will never be. The sadness can be overwhelming, it's locked inside me. I seem to be keeping it there to hurt myself with, to punish myself for taking away the chance to be a mother and as a reminder of what could have been. And now I need to stop that hurt, it's time to let it go, to forgive myself. It was not my fault, I had no choice, but now I have. Now I have a loving, understanding partner who deserves the love I can give her. 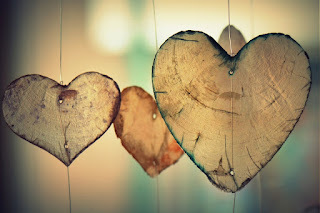 The love that I have locked away deserves to be let out to see the light of day. 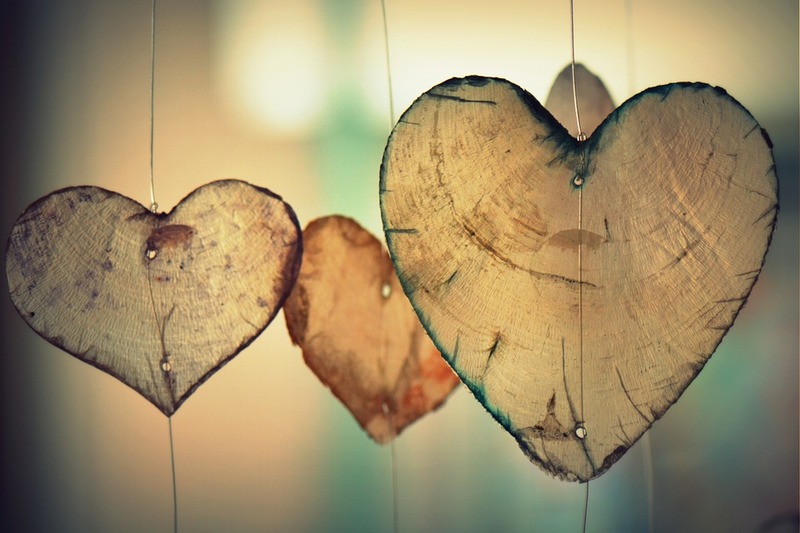 We are both worthy of that love - we can use it to pave the path to our future. It can free me from the hurt of the past. I deserve to be happy and I am worthy of the love I have been denying myself for so long. Having a partner that gets me, who can read me like a book is so liberating - there is nowhere to hide so I don't need to any more. I can finally be myself, and with the love a support we give each other the future is ours to write. Our pasts will affect our future happiness, how? Well, that's up to us... Me? I choose to be happy. Love, it's just a word but it can have so many other labels attached to it. Which is wrong. It's just love. We can't explain it, or justify it, it's just there. You know what I'm talking about, that moment when someone enters your energy field and everything else just disappears. All you have is that intense physical attraction and overwhelming emotional connection to this other being and suddenly nothing else matters. Something magical happens to us, it's like our energies are playing together, joining forces and merging together, talking on a higher level in a language we can only feel. I say ‘only’ but it's powerful stuff, it can feel like you've been hit by a bus, it takes your breath away and lifts you up to where your energy watches on, an amused look on it's face. You feel it all the way through your body connecting your chakras like joining the dots, and exploding out of your fingertips. It only takes a second or two for this to happen, but it feels like a lifetime. A lifetime of waiting for this exact moment, not you, but your soul, waiting to meet its mate. If you're one of the lucky ones who have the chance to experience this, just stop and listen for a second. Become aware of how you feel at that instant. Now you have a choice. Even if it's not ‘normal’ for you, would you listen to your heart and soul? Could you dance to the music that's flowing through your every fibre, every cell, making you feel so alive and so grounded for the first time in a long time? Are you brave enough to defy your mind thought and go with your heart, even though your head (which is based on influence, perception and judgement from others) is telling you different? When we connect with someone this deeply does it matter if they're male or female, no I don't think it does. But society will still want to label it… homosexual, lesbian, bisexual, gay etc…. We are brought up with the judgements of others, we are always looking outwards instead of to ourselves. But does it really matter what others think? We are the ones responsible for our own happiness, it really is our choice. I choose not to be labelled, I choose to allow myself to recognise it when it happens, and let it connect with me when the time is right. Why can't it just be called Love. 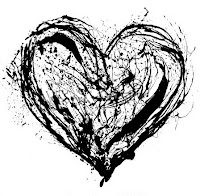 That's what it is after all, just love, oh and beautiful and amazing and very, very special. Are Himalayan Salt Lamps Beneficial? 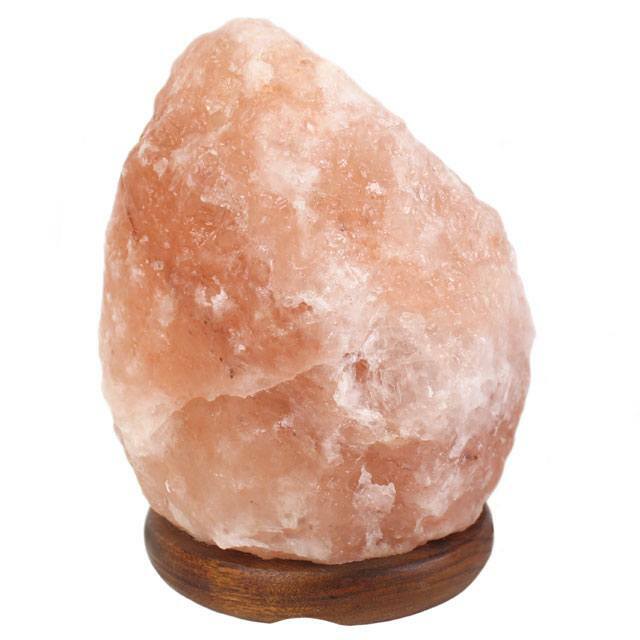 Are there really health benefits to owning a Himalayan salt lamp, or are they just a glowing, earthy addition to your home? I’m glad you asked. What Is a Himalayan Salt Lamp and Does It Work? Real Himalayan salt lamps are actually solid blocks of Himalayan salt that have been hand-carved. Deep underground mines in Khewra, Pakistan, located on the western edge of the Himalayan Mountains, are the only source of true Himalayan pink salt. The color of Himalayan salt lamps ranges from a light pink to a pinkish orange with the hue a result of the mineral concentration. Within the hollowed-out center of this block of salt is a light bulb that emits both light and heat. A salt lamp is not a lamp at all if it doesn’t have the light and heat source within it. Without that, it’s just a block of salt. Salt is hygroscopic, which means it attracts water molecules to itself. Being the big hunk of salt that it is, a Himalayan salt lamp works by attracting water molecules. This water vapour can also carry indoor air pollutants like mold, bacteria and allergens. Once the water vapour comes in contact with the salt lamp, the pollutants are believed to remain trapped in the salt. Since the lamp is heated, the salt dries out and is able to continue the cycle of attracting water vapor and pollutants, releasing the water vapor back into the air but holding on to the health-hazardous pollutants. Just looking at the glow of a Himalayan salt lamp can be calming, which is therapeutic in and of itself, but what about the other health claims? To date, there aren’t any scientific studies focusing specifically on Himalayan salt lamp benefits. However, there is good reason to believe that salt lamps may provide some health benefits. Out of all of the possible Himalayan salt lamp benefits, air purification is often the quintessential goal for most buyers. Air-purifying house plants are often bought for this reason as well. There is not doubt that cleaner air in your home is better for your health. As described earlier, a Himalayan salt lamp by its salty nature is able to easily attract water vapour to it. With this water vapour often comes indoor air pollutants, including allergens, mold and bacteria. When the water hits the heated lamp, the salt traps the pollutants but releases the water vapour. This cycle repeats while the lamp is on and warm. By removing pollutants from the air, the salt lamp leaves you with cleaner, healthier air. So many things around us nowadays release electromagnetic radiation in the form of unhealthy positive ions — things like your cell phone, computer and television. This electromagnetic radiation (EM) may be invisible but is believed to cause some serious long-term effects. Constant exposure to EM radiation is known primarily to cause fatigue, increase stress and weaken the immune system. The best way to increase exposure to negative ions is to spend more time in nature, especially around water. Himalayan salt lamps are said to emit negative ions in small amounts and cancel out positive ones. By neutralising EM they may help reduce the negative health effects of harmful ions. Balancing positive and negative ions also may help reduce airborne infections. Himalayan salt is now used in inhalers to bring relief to asthma and allergy sufferers. Salt therapy is also used to treat chronic obstructive pulmonary disease (COPD) patients. Salt therapy for breathing problems is said to have begun with Siberian salt mine workers in the later 1800s who had a surprisingly small number of respiratory problems compared to people around them with less salty professions. Nowadays, you can find salt caves at various spas, and this salt cave experience is also trying to be re-created with the invention of salt pipe inhalers. Salt lamps are another smaller-scale way to bring the salt cave experience (and hopefully the health benefits) home. Another possible health benefit of the Himalayan salt lamp is a reduction in anxiety symptoms. According to colour therapy as well as general human enjoyment, the warm pinkish to orange glow of the salt lamp is a calming and happy presence in a room. Additionally, as a real piece of nature, Himalayan salt gives off negative ions like a waterfall (but in much smaller amounts). 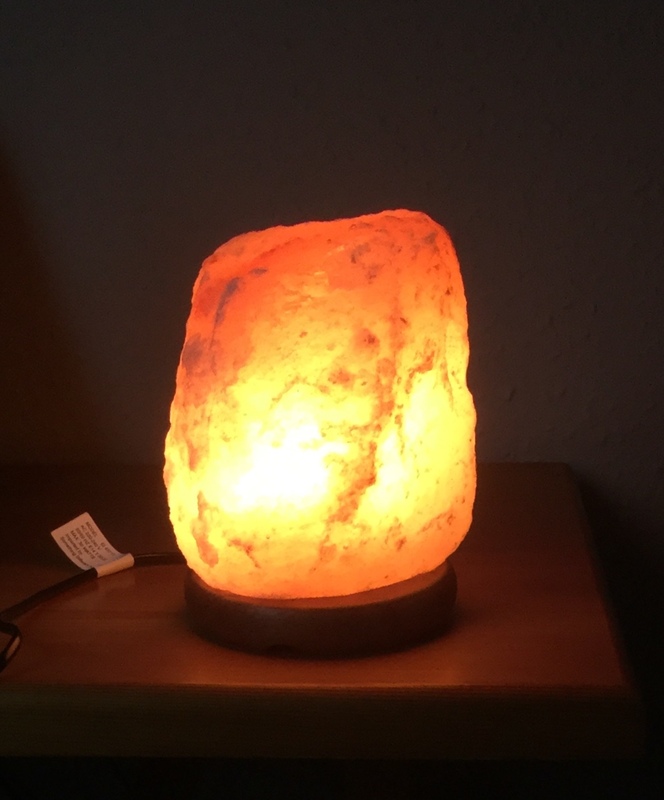 Since Himalayan salt lamps release negative ions into the air, they can help reduce anxiety and also encourage a relaxing atmosphere for sleep. Many people like to keep salt lamps in their bedrooms for their calming effect. So, despite the fact that we cannot say with any scientific certainty that owning a salt lamp is good for you, most owners agree that they are a welcome addition to their home. Click here to visit my Facebook shop.